PPS supplies high quality folding and feeding equipment to solve a number of tasks, including folding and feeding of leaflets, and feeding of booklets, sachets, blister cards, or other flat items. PPS provides folding and feeding equipment from GUK and Pfankuch, which comes as both standalone units or as inline solutions. 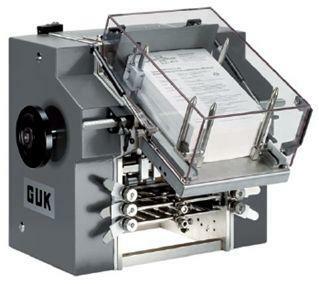 GUK develops and produces complex high capacity folding and feeding machines for the pharmaceutical industry. The machines may operate as stand-alone modules or in-line, and are available with 4-6 folding pockets per station. Pfankuch supplies high-speed feeding systems for all types of flat items, collating and wrapping systems, as well as batch counters, batch banders and transport conveyors. Pfankuch feeder systems may also be integrated with other solutions, such as Rea Jet. Together with GUK we offer a wide range of high capacity folding and feeding machines for the pharmaceutical industry, to be installed on cartoners and packaging lines. Moreover, we supply a number of solutions for other industries, including pocket folding machines, folding machines with a combination of parallel folding and cross folding, reel feeders, and sheet feeders. High speed folding of leaflets from either web or flat pile stacker. Folding machines normally comes with four or six folding pockets, but we can offer solutions with up to 24 folding pockets. Short set-up time thanks to quick and easy roller adjustment. 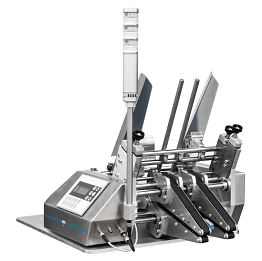 Pfankuch produces a line of high quality automatic solutions for feeding of flat items, such as leaflets, booklets, cartons, blisters, and bottleneck hangers. Pfankuch feeders are built in a compact design with a very attractive price-performance ratio. The feeder systems can have either horizontal or vertical delivery. Easy integration into existing production facilities. 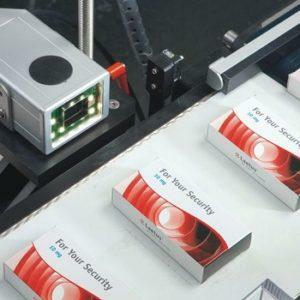 The feeding equipment can easily be integrated with label printers and camera inspection systems.